As I sit down to write, the news headlines are all about the future royal wedding, hand-wringing over Brexit and funding problems in our hospitals. Three great British institutions — the monarchy, parliament and the NHS. Meanwhile, perhaps the greatest institution of all is barely noticed. I’m talking, of course, about the church. 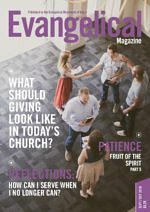 So in this edition of the magazine, we’re trying to redress that balance a little, by looking at some of the issues that are affecting our churches today. 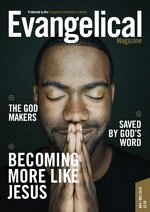 Jonathan Thomas begins by arguing that the purpose of the church is mission and provides some helpful advice that might help us understand why our ‘mission’ is not as effective as it might be. We’ve also asked three churches to tell us how they’re using cafés to extend their mission beyond their own four walls. But even when we reach people with the gospel, we often find people with many needs and in dark situations. How can we possibly help, when we’re not professional counsellors or psychologists? Elspeth Pitt has an encouraging story and sound advice. 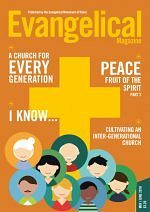 Meanwhile, Sammy Davies turns us to Scripture, to remind us of some of the Bible’s great pictures of the church, while Alison Williams and Kerry Orchard both invite us behind the doors of their churches, to get a glimpse of what the Lord is doing, and the things they have learnt. Alison is serving a church that’s reaching the international community of Turin, while Kerry is involved in looking after older members of the congregation in Heath Evangelical Church, Cardiff. With the start of the year, we also begin three new series. With the first, Jonny Raine will take us through the whole Bible in eight words, starting with ‘Eden’. In the second, we’ll be looking at the fruit of the Spirit and Matt Francis kicks us off with ‘love’. The final series is one I’m particularly looking forward to. 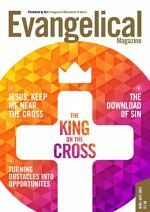 We’ve asked senior evangelicals to reflect on an important lesson they’ve learnt in their Christian life. 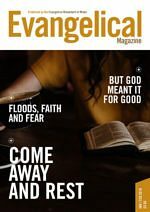 If you’ve ever struggled with doubt, you’ll want to read Philip Eveson’s contribution in this issue. There’s plenty more in this month’s issue, of course. Nathan Munday introduces us to David Brainerd on the 300th anniversary of his birth. And in the present-day, we meet the ‘Lego Lady of Port Talbot’, follow Lyn Davies on his journey from atheism to belief in Christ, and travel with Rhona Black through all the changing scenes of her life. So, as always, there’s something for everyone. 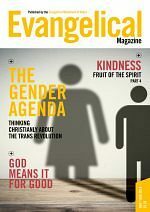 So after you’ve benefitted from the magazine, why not pass it onto a friend, or recommend they visit evangelicalmagazine.com?